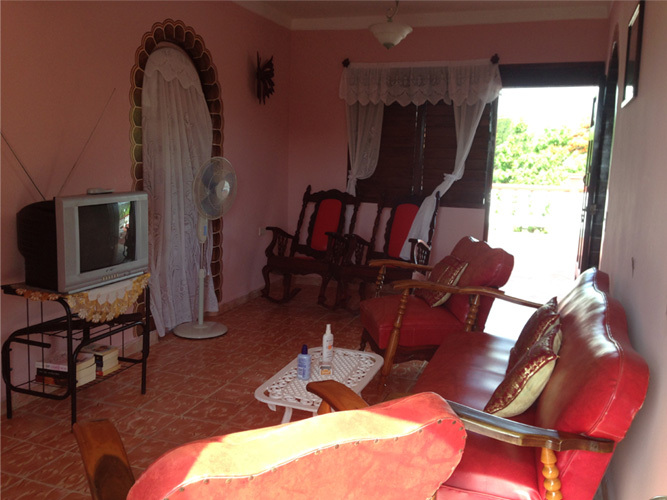 Accommodation in Guardalavaca beach at private house(casa particular) in a new and economic option for a free tourist. Meet with people cuban and know our culture is a nice experience. 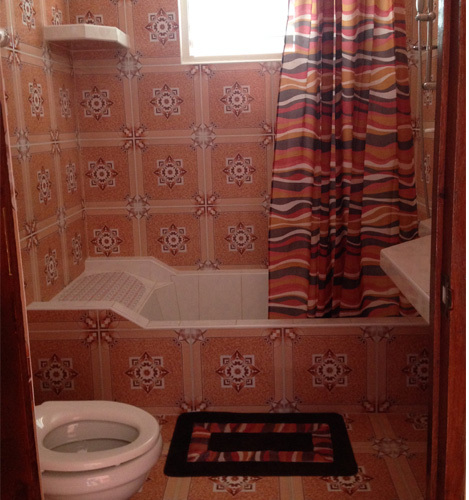 This space is special for you and your family! 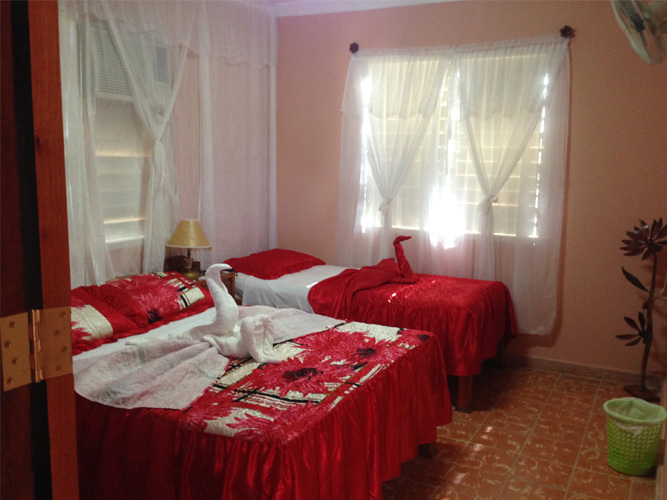 Now you can get accommodations in Havana, Trinidad, Santiango de Cuba and Baracoa too, know more here: Get accommodations for all Cuba with OlaCuba Casa Particular and Accommodation around Old Havana. The house is fitted with everything needed for three guests, structured with an splendid room with a double bed, a singel bed and bathroom inside. 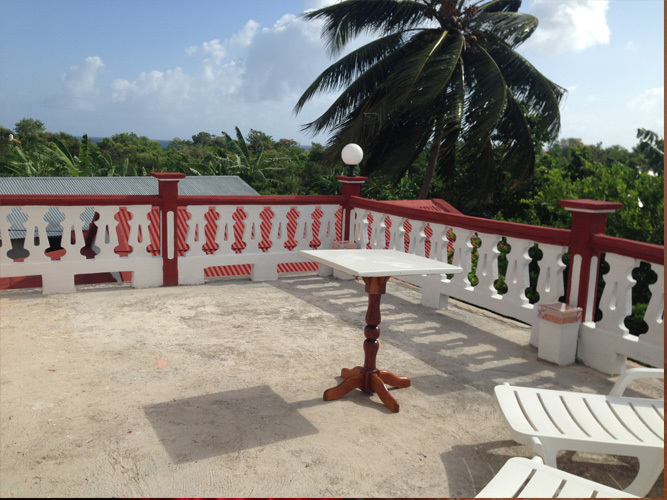 From the balcony you can enjoy the wonderful and romantic evenings typical of sea views. In any architectural space you will be bathed in the scented breezes emanating from the horizon, perfect for your health. 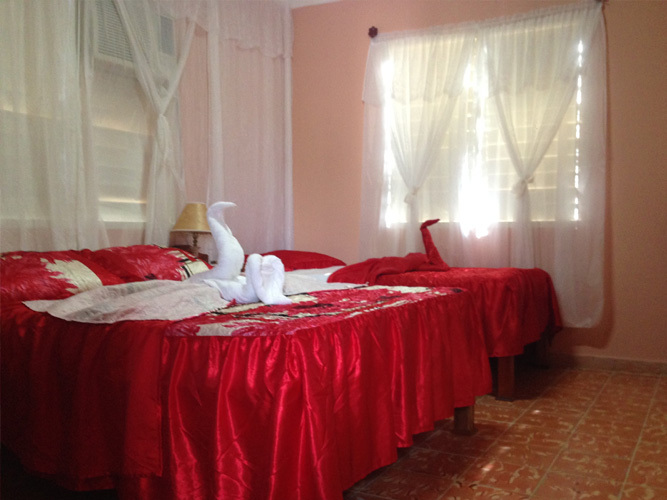 It is the place to learn about our customs and socialize with our Cuban. Write us your request and reserve for when you are ready. 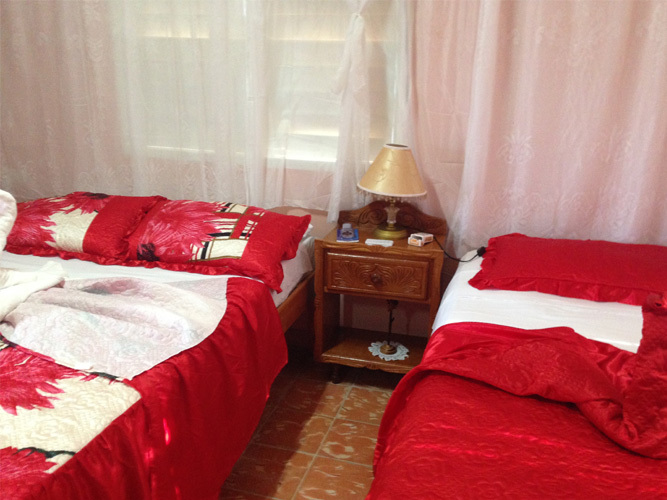 Prices is 35 cuc for whole house (cuc is our current coin), per night! Taxi Services for all Cuba that you need, only confirms us the day of arrives and we will be there for show you best places in Cuba. What for to drive for unknown places if our taxi driver can lead you to your rent, beaches and tourist sites that you want? More secure, more economic and our guide explain you all it you want to know.